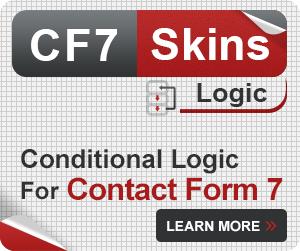 CF7 Skins Logic allows you to add Conditional Logic to Contact Form 7 forms. 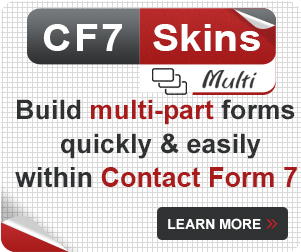 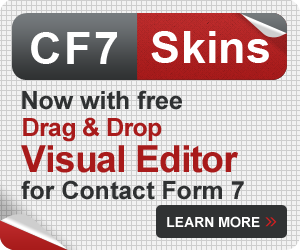 CF7 Skins Logic works right within the Contact Form 7 plugin interface – it adds an extra tab where you can configure each Contact Form 7 form to show or hide fields based on user selections. 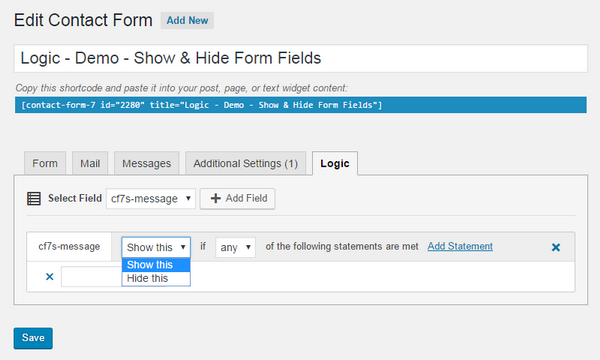 If you have some hidden fields in your form, be careful when using this feature to make sure you do not hide required fields. 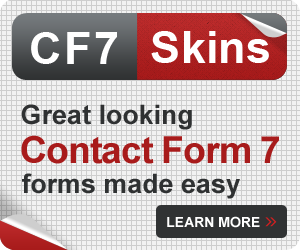 Contact Form 7 tests if all fields marked as required have suitable values regardless of whether the fields have been hidden by CF7 Skins Logic. 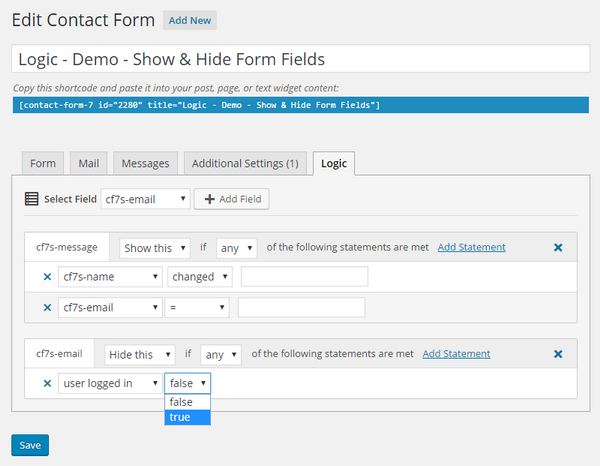 So, if a required field is hidden & not completed by the user, Contact Form 7 will show an overall validation error but the individual field & associated validation error will be hidden. 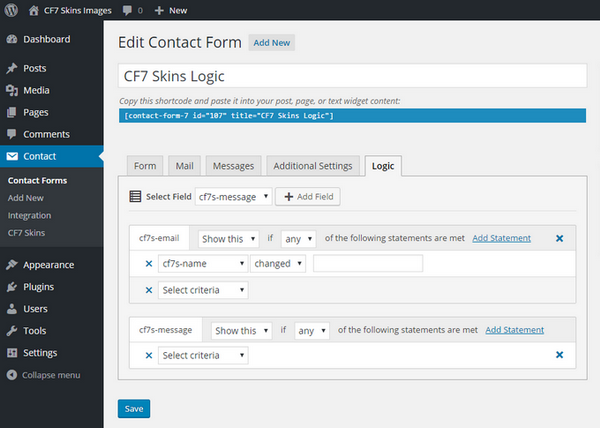 This is typically very confusing for form users. 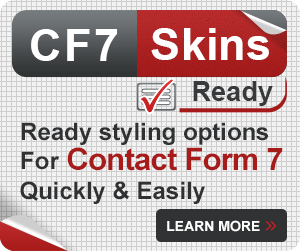 So it is generally better to not hide any fields which are also required fields in Contact Form 7. 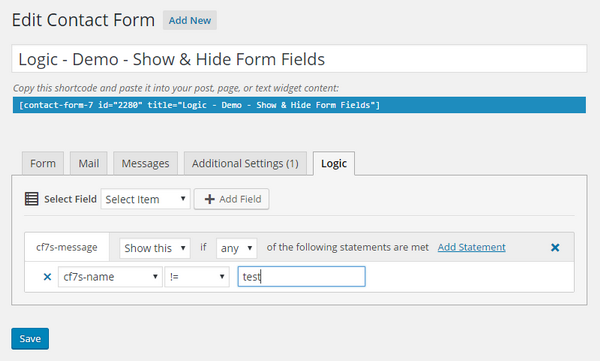 Instructions – start typing in the Name field to see the form expand to include Message field. 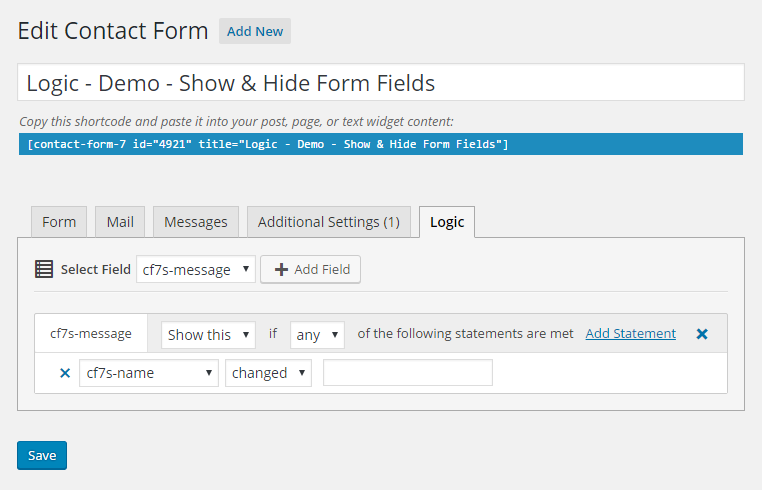 Which of the following describe how you use WordPress? 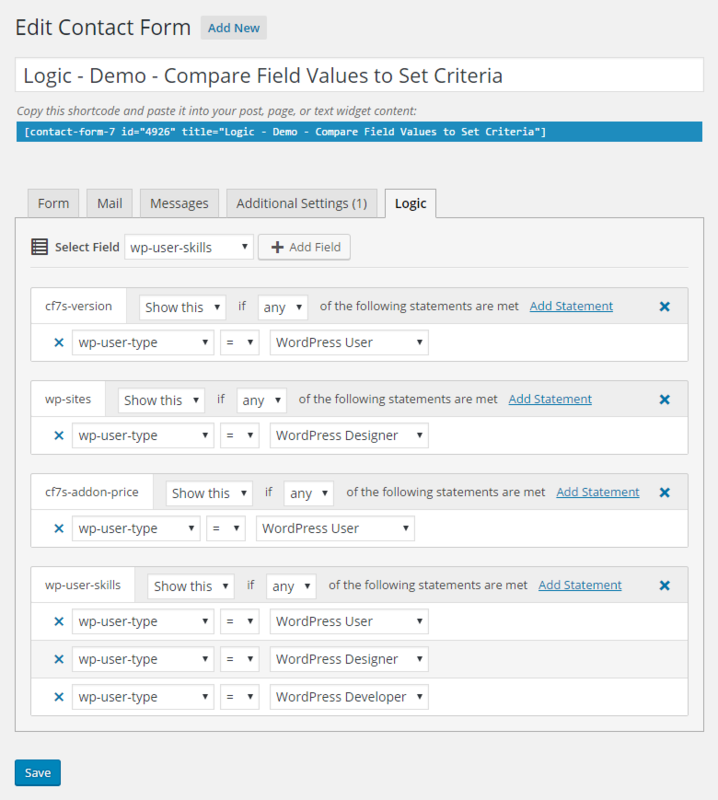 Instructions – additional questions are displayed based on your answer to the first question. 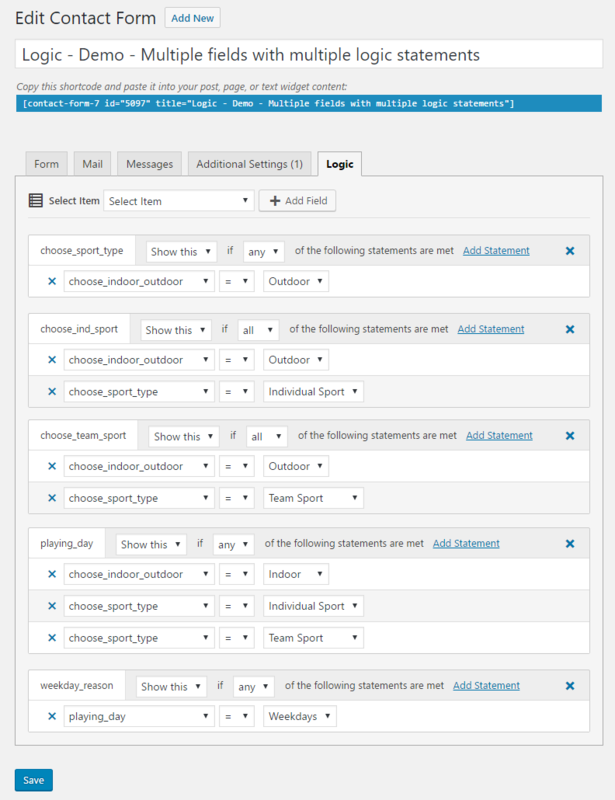 Instructions – Additional questions are displayed based progressively based on individual Sports Preferences.